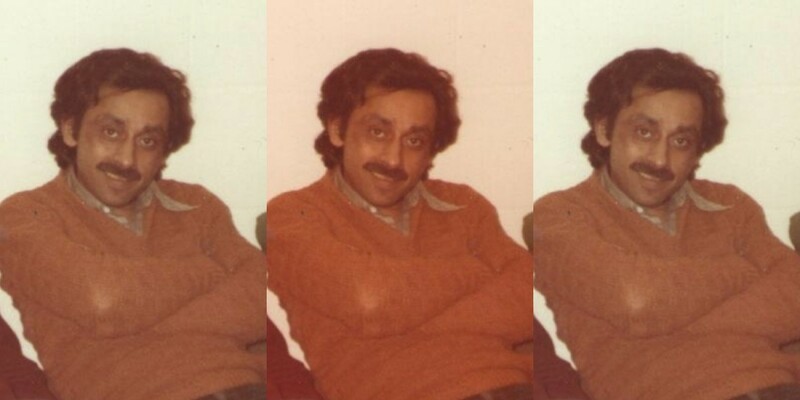 The Delhi School of Economics professor was always provocative and mischievous. Lalloo was never at peace, nor did he let anyone else be so. Rabindra Ray, who taught sociology at the Delhi School of Economics till his retirement a few years ago, died on January 15, 2019. For 52 years I called him Lalloo (with two l’s). His death has led to an outpouring of memories from his friends and students. This is one such –it’s not an obituary. I would never be able to encompass his rich life in words. I first saw Lalloo being led by his goatee from his room into the veranda of Allnutt North block at St Stephen’s College by a senior. We were neighbours, two rooms separated us. He was not exactly a fresher, having spent a year in a pre-med course in Hindu College before migrating to SSC to study English. As part of the Xavier’s Patna contingent, he had a stream of Bihari visitors shouting out “Lalloo!” I soon became an honorary Bihari. His circle was wide-ranging. He was a stellar actor for the Shakespeare Society; a bridge player and a junkie, hence an attraction for the ‘hippie’ crowd. And I know of at least three of his teachers who said he was the most brilliant student they had ever taught. One of his close chums was Arvind Das, the first and last Naxalite president of the SSC Students Union. When, after a trip to Palamau in the midst of the famine of 1967, I too became a ‘commie’ (Arvind being the prime mover), Lalloo was contemptuous. Commies tell lies, he would say. The next two years all of us fought over communism and revolution, but it would always end in the Science Faculty Coffee House, where we would gossip, drink coffee, eat coffee jelly and keep an eye out for young ladies. In 1970, our gang enacted a lampoon called ‘India 69’, a multi-lingual spoof on Indian politics. Lalloo played many roles, one of them Soviet Prime Minister Alexei Kosygin claiming the right to marry Indira Gandhi. Kosygin had two hangers on: CPI and CPI(M). I was the latter, Shahid Amin the former. In another, he was a sinister thug, asking a cowering man if he was a Muslim. In the background was the election symbol of the Jana Sangh with the caption Mein Lampf. A third featured an Indo-Australian Test at Eden Gardens, in which he was ‘Lalloo the bowler’. Our performance brought the house down. Soon afterwards, the CID visited our campus, asking for the author. No one was, but Lalloo had contributed vastly, not least by his acting and sardonic style. Lalloo stood second in the university in his BA. He got abysmal marks in some papers and distinctions in most. In his MA Previous, the English department students began agitating over a newly introduced semester system. The university’s attitude angered him so much that one day he decided to become a revolutionary. That was Lalloo all over – once he was convinced that the ‘system’ was incorrigible, he could change his mind in a second. It became difficult to hold him back. He and Arvind were the first to go underground. But it was a shared sense of the absurd that bound us. We founded the SSC Wodehouse Society – Lalloo was president and I the secretary. Often he would walk into my room cackling about some Wodehousian gag. I can still hear him repeating ‘Lemuel Gengulphus, Bart’ and sniggering away for hours. We edited a cyclostyled rag called Spice with cartoons on its cover, and doggerel and fantastical tales inside. No one found it amusing except us, and a few faithful followers. Arvind used to say that the only good Spice was Old Spice. On our part, we roared with laughter writing them and continued to do so for years whenever we recalled what we’d written. A sense of the ridiculous was what enabled us to survive the Naxal underground. Even his departure for a revolutionary contact address in North Bihar was tinged with hilarity – he was dropped off at the Old Delhi Railway station by comrade Ajay Singh, but late that night Ajay’s window was hit with some gravel. It was Lalloo, who had fallen off the train. Maybe it was an omen for the fate of the revolution. The only time we met during ‘UG’ days was in Purnea, in December 1971, in the midst of the Bangladesh war. Few would have recognised him at the Purnea bus stand – Lalloo was just another North Bihari peasant: white vest, indigo lungi and drooping moustache. We drank toddy, walked through the lanes and slept on a wooden takht. We decided he ought to get out: there was no police warrant out on him, and he had a nasty lung infection. And we were disgusted with the CPI (ML)’s dogmatic adherence to the Chinese line over the Pak army action in East Bengal. It took me some months to opt out as well. Lalloo went home to Kanpur. I visited him there once; it was the first time I met his dear mother. In 1972, I went to the UK for six months. When I returned, I stayed with Lalloo and Achintya (Monju) Barua in a garage in Tagore Gardens in North Delhi. I was canvassing permission to complete my MA; and god knows what he was up to. Monju was trying to pass his Hindi subsidiary. The garage was like a shelter for vagrants and unspeakably dirty. I was considered the Stalinist, always chasing comrades to behave. I once flushed their stash of grass down the toilet, which caused much consternation. I would wash his clothes, but he refused to wear clean clothes. “Dirt is mans natural element,” he would say. When we finally left the garage, we went to a hole-in-the-wall photo studio in Kamala Nagar. The seat was tiny, so we sat with one of us in the middle and the other two straddling the bench sideways, looking over the middle one’s shoulder into the camera. We looked like a bunch of unemployed pickpockets. In the late 70s Lalloo underwent a psychotic break. He was ailing for some time. Some comrades visited him and noticed there was a problem. In the winter of 1977, he came to Madhu Sarin’s and my place in Defence Colony – we climbed up the stairs one night to find him standing by himself in the dark. It was a jolt to see him like that. He wanted to stay ‘a couple of days’ – and ended up staying over four months, nearly driving us crazy as well. We were scared to leave him by himself, but also begged him to stay awhile with other friends, but he refused. Finally his family took him away for treatment. We wanted a photo of us in Naxalbari. I travelled to Bagdogra with my friend Prita Trehan. Monju had picked up Lalloo from Darjeeling and we all met at the airport. We got into the cab and said chalo Naxalbari. The driver thought we were nuts. But we finally located Kanu Sanyal’s house in Sephtulajote village – Lalloo knew that it had been converted into a memorial. We spent two hours chatting with a comrade who was bemused to see us. I posted a small account of our visit on my blog. It was the happiest I had seen Lalloo in a long time. Being at home and looking after his mother had done him a world of good. Lalloo could laugh at himself and that was what made his company so enjoyable. Years ago, he gave me a book of philosophical essays. One was called The Futility of Theory. Since his ruminations would go on for two or more pages without a full-stop, the next time I met him, I said, “Yaar, you made your point by the middle of page two. Theory is futile.” He began his usual cackle. In one of our last conversations, he told me his new philosophy book in Hindi had been published. I asked him if there were riots outside the book stores; and we both laughed for several minutes. It doesn’t sound right to say ‘rest in peace Lalloo’. Always provocative and mischievous, Lalloo was never at peace, nor did he let anyone else be so. I loved him as a brother. Goodbye Lalloo, you always inspired all around you and made the world shiver. Till we meet again my friend. Adieu. 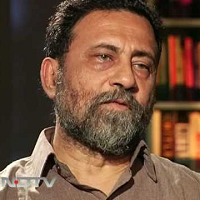 Dilip Simeon is a labour historian based in New Delhi.